* 157 Tooth Cast flywheels are not explosion-proof and can be dangerous when used in high performance applications at higher rpm. 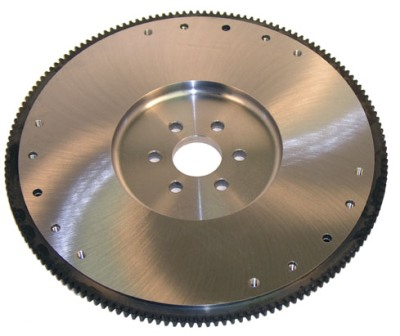 RAM billet steel flywheels are recommended as replacements for factory-cast flywheels in high performance and racing vehicles. They're better for launching heavier drag race cars and provide better drivability in street vehicles. RAM billet steel flywheels are CNC-machined from certified materials, and friction surfaces are blanchard-ground parallel to the crankshaft mounting flange for minimum runout and optimum clutch engagement. These flywheels are SFI-approved. Quality Construction: No one else gives you the bold clean styling of our Aftermarket Dress Ups, Suspension and Performance Parts for your American Muscle Car like UPR Products! Fits these Vehicles: 1981 1982 1983 1984 1985 1986 1987 1988 1989 1990 1991 1992 1993 1994 1995 V8 LX Cobra GTS GT Mustang Roush & Saleen Vehicles. Made in the USA!